ESET®, the pioneer of proactive protection, has achieved a significant testing win from Europe’s leading consumer IT magazine, Computer Bild of Germany. ESET Smart Security 9 finished first in the magazine’s Internet Security Test out of the 13 consumer products tested, securing the best score. “ESET beats the competition with the best mix of security, performance and pace,” says the head of the software department at Computer Bild, Georg Oevermann, in the magazine’s latest issue. ESET Smart Security 9 is headlined “the best protection against the latest threats” for detecting all malware and thus being the only product to protect against it. “This is our first win in this important test and continues our series of top test results and wins in Germany. We invest considerable talent and effort into our technology at many of our ESET R&D centers around the world, so that we can offer the best protection available in the market,” comments Stefan Thiel, country manager at ESET DACH (Germany, Austria and Switzerland). “At ESET Germany, we always keep customers’ and market needs at the top of our mind, and as a result we find the right balance that allows our users to stay protected and fulfill our company brand claim to Enjoy Safer Technology,” added Thiel. Computer Bild reports that 15 of its examiners spent 2,400 hours testing the products, using more than 155,000 pieces of malware and almost 50,000 cyber-attacks. The result, as the head of Computer Bild Testing Lab Matthias Otten puts it in the magazine’s press release, was that “ESET dethrones Kaspersky”. Along with its top protection, Computer Bild highlights ESET Smart Security’s light system footprint and usability. The product was also praised for its online banking and social network protection features. “ESET Smart Security was able to convince independent testers at Computer Bild laboratories, meaning that our intensive work on behalf of users has indeed proved its quality,” says Righard Zwienenberg, ESET Senior Research Fellow. Computer Bild is the biggest computer magazine not just in Germany, but across the whole of Europe (including Russia), and this year celebrates 20 years since its founding. ESET has received several industry-related accolades in Germany recently. In late 2015, ESET Endpoint Security was selected by the readers of Vogel IT-Media publishing house as the best “business AV product” on the German market. ESET Mobile Security also placed first with its ESET Mobile Security for Android app in an independent test by leading German consumer organization Stiftung Warentest in February 2016 and won the test by Austrian magazine Konsument, a local consumer testing equivalent. In Austria, ESET Mobile Security was recognized as the best mobile security app of 2015 and ESET Parental Control as the best app of 2015 in child protection by Austria’s Android magazine. Furthermore, ESET scored a silver medal in the “Security” category during Germany’s CRN awards ceremony in 2015. ESET is recognized as the largest IT security company based in the European Union*. 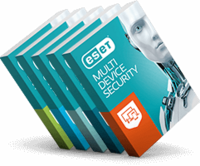 Learn more about ESET technology and product portfolio by visiting www.eset.com. ESET was ranked as 5th Largest Endpoint Security Vendor in 2013 and grows 23% - 6x the market growth rate, reports IDC in their report titled ‘Worldwide Endpoint Security 2014-2018 Forecast and 2013 Vendor Shares’ from August 2014.